Three recently released and very different books makes up an unconventional approach to Singapore’s history: a novel “State of Emergency” (1) by Jeremy Tiang, a book that evokes some forgotten episodes or that the government would like to forget about the history of Singapore, and a great graphic novel by Sonny Liew that will be discussed later “The art of Charlie Chan Hock Chye” (2). A children’s book has just been published with some difficulty “The Phantom of Oxley Castle” (3) which indirectly evokes the conflicting relationship between Lee Hsien Loong, Prime Minister of Singapore, Lee Kuan Yew’s son and his brother and sister about the 38 Oxley Road family home. The castle in the book has 38 rooms, it is an evocation of the monarchical side of the Lee family! 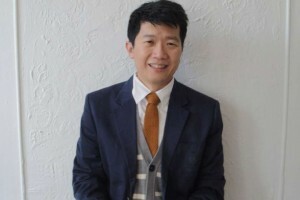 Jeremy Tiang had received a subsidy, later removed, of 12,000 $Sing. from the National Arts Council (NAC). As for Sonny Liew, it’s a 8,000 $Sing check. which was canceled because the graphic novel “potentially undermines the authority and legitimacy of government and public institutions”. When we read these two books, we were stunned, we were more tempted to laugh than to be indignant and we were pleased that these decisions have provided a great advertisement to Sonny Liew and his publisher Edmund Wee; 15,000 copies have been sold in Singapore alone! Jeremy Tiang is a Singapore short stories writer and finalist of several literary awards, who lives in Brooklyn. He is also well known for a dozen translations of Chinese novels. He worked several years on “State of Emergency”, documenting, meeting witnesses and visiting the villages where the tragic events related in the book took place. The state of emergency, established in Malaysia in 1948 following the armed insurrection of the Communist Party of Malaysia (MCP), lasted until 1955 in Singapore (1960 in Malaysia), but peace with communist bases along the Thai border did not occur until 1987/1989. Jeremy Tiang wants to fight against oblivion: a survey in 2015 revealed that the two most important arrests of opponents in Singapore in 1963 and 1987 were the most forgotten of the 50 events listed during the research. Jason Law was an official, he is dying on a hospital bed; he remembers his sister Mollie killed in a bomb attack at Mac Donald House in March 1965 during the confrontation with Indonesia (Konfrontasi). His wife Siew Li was an activist who, in 1955, supported the Hock Lee bus drivers’ strike and was forced to leave her husband and two young children to avoid being arrested in February 1963 during Operation Coldstore (about 100 people presumed to be close to the communists were imprisoned). 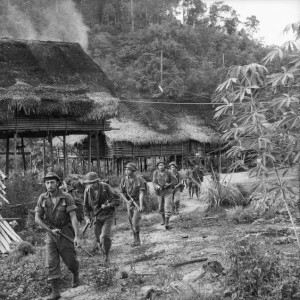 Siew Li joins a communist base in the jungle in Malaysia where she meets Nam Teck whose father was murdered in Batang Kali in late 1948 with 24 villagers by British troops facing a guerrilla warfare demanding independence. This massacre of Batang Kali was reported by Revathi, a British journalist born in Malaysia. Her articles create a shock in public opinion and Batang Kali is, proportionately, the equivalent of My Lai during the Vietnam War. In May 1987, Stella, Mollie’s daughter, a teacher involved in the activities of the Catholic Church, particularly in the defence of domestic staff, was arrested by the ISA (Internal Security Department) during Operation Spectrum. 22 people were imprisoned in Singapore. Lee Kuan Yew sought to weaken opponents by claiming to fight against a Marxist conspiracy involving the Church. The novel insists on the psychological pressures by the ISA that could hold citizens for months, years … After five months in prison, Stella will sign a confession; she will be interviewed on television and confirmed in writing that she has been well treated! This chapter emphasizing the almost unlimited powers of the ISA and the very limited independence of the judiciary, is probably what explains the difficulties of the book with the National Arts Council (NAC). The last pages of the novel lead us to Henry’s search of his mother Siew Li, who lived in communist-controlled areas along the Thai border. Chapters of history that must not be forgotten; the author maintains a neutral tone. He aims to be objective even if he concedes sympathies for socialism. He does not accept the inhuman attitude of communist guerillas: “You are inside, you’re there forever. You cannot come out, they’d kill you “(p.175). This story is tragic and complex but it can sometimes be regretted that it is analyzed only from the point of view of Singapore. It is common in the region to underestimate the role and impact of Malaysia. 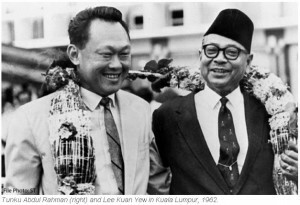 For example, Operation Coldstore is very clearly related to the tumultuous relationship between Lee Kuan Yew and Tunku Abdul Rahman, then Prime Minister of Malaya, and the negotiations that led to the establishment of Malaysia integrating Singapore. The composition of the book is subtle, very well managed, although sometimes we must check the chronology of events. The book provides few historical details, which is an asset, but requires to be aware beforehand of the sequence of the different crises; a timeline at the end of the book would have been helpful. The general tone is a little surprising, detached and sometimes nostalgic. No emotions, no value judgments while the characters are all shaken by the crisis of history. Many dialogues, which sometimes limits the tensions or dramatization of events in the book. 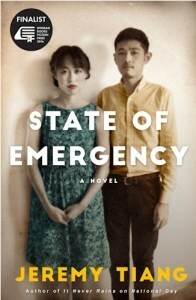 (1) Jeremy Tiang, “State of Emergency,” Epigram Books 2017, 295 pages. (2) Sonny Liew, “The Art of Charlie Chan Hock Chye”, Epigram Books, June 2015. In France, “Charlie Chan Hock Chye, une vie dessinée”, was translated by Françoise Effosse-Roche. Urban Graphics, January 2017. (3) “The Phantom of Oxley Castle” by Liana Gurung and Chloe Tong, illustrated by Anna Gee Neo, Epigram Books, December 2017, 32 pages.